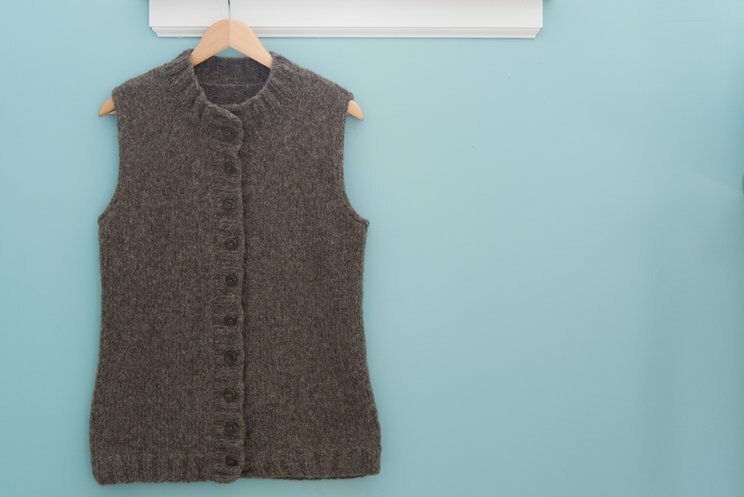 Give your favorite fleece a serious upgrade by making one that fits you perfectly, out of a yarn you absolutely adore. 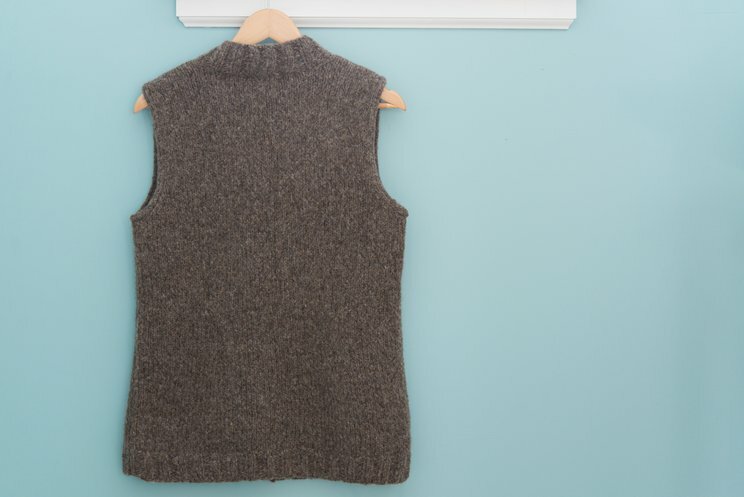 This cardigan vest features a warm mock turtleneck, plenty of buttons, and 2x2 ribbed trim except on the armholes, which get discreet applied i-cord. With a low hip length and relaxed fit as shown here, you're ready for an utterly cozy day. 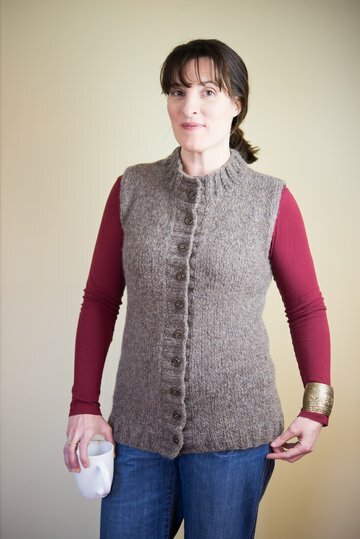 Sample shown in Rowan Brushed Fleece, in color "Tarn". 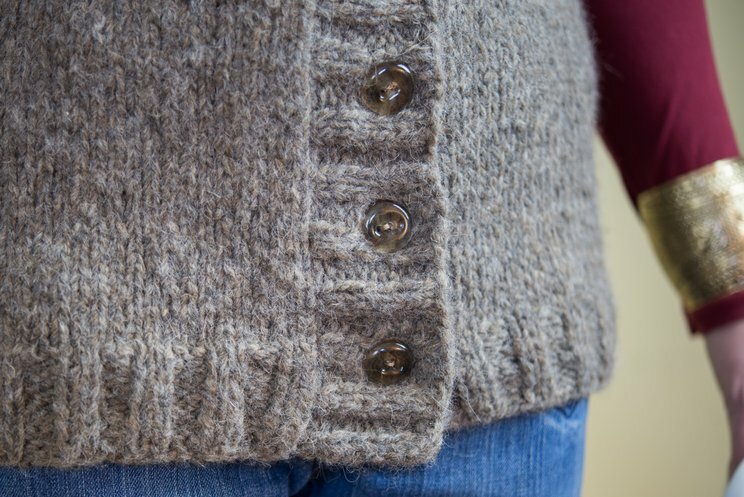 This sample was knit in Rowan Brushed Fleece, an incredibly light bulky-gauged yarn with incredible warmth and fuzz. 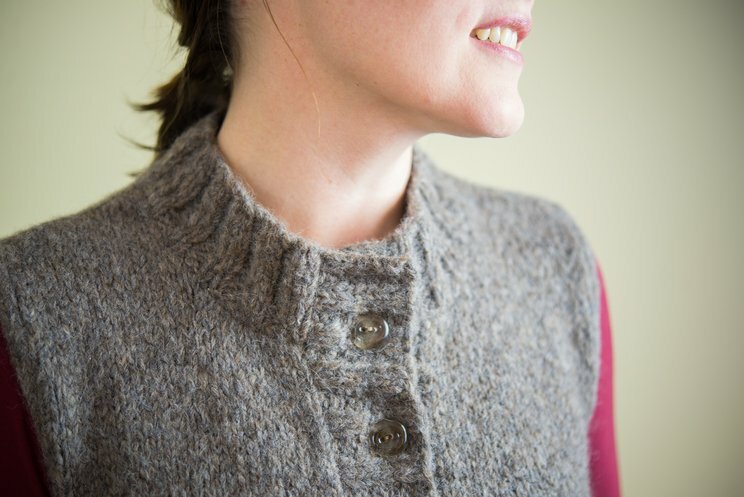 I used the color "Tarn", at a gauge of approximately 3.5 stitches per inch.